Enjoy a peaceful night’s sleep in the hottest climes with a cool cotton nightie made with clever double straps for comfort. This pretty nightie is just right for warm-weather holidays. Breathable, lightweight cotton will slide effortlessly over your skin and keep you cool all night. 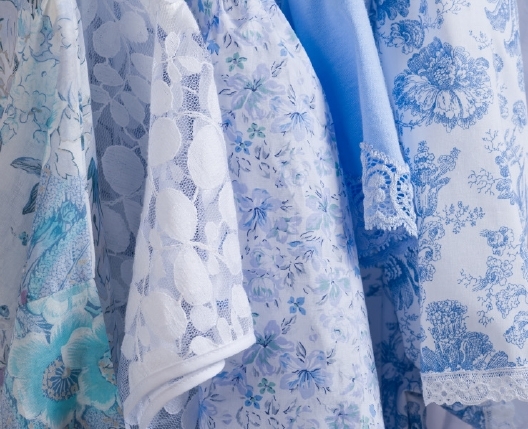 Care Instructions: To keep your cotton clothing looking its best, machine wash it at the appropriate temperature using gentle non-biological laundry products, including fabric softener, then line dry. We use only the finest fabrics that we hand select from trusted mills. Cotton is a natural, breathable fibre that helps keep you warm when it’s cold, and cool when it’s hot.